STUDIO CITY–The college and university admissions process has become increasingly competitive and complex in the last few decades. 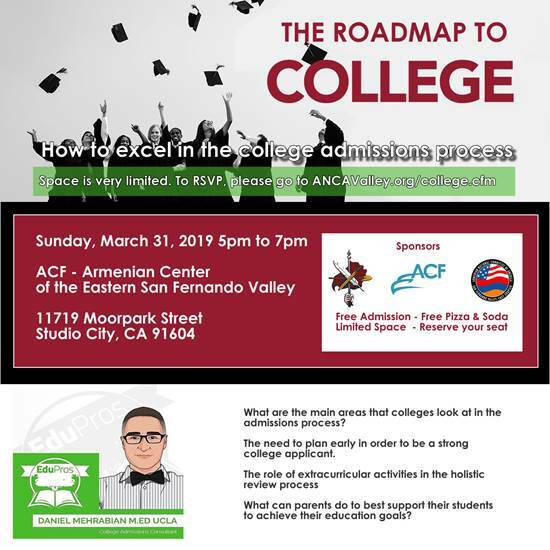 Furthermore, local students applying to colleges and universities in the Los Angeles area face even more pressure and competition due to the disproportionate number of students from outside the region seeking to attend colleges and universities in the L.A. area. The speaker for the evening is Daniel Mehrabian, a professional college admissions consultant and founder of EduProsUSA. Mr. Mehrabian received both his undergraduate and graduate degrees from UCLA in Sociology (undergrad) and Education (graduate school) with a focus on counseling and administration. Then he obtained his Pupil Personnel Services credential which authorizes counseling in public K-12 schools. He has been in the field of counseling since 2003 during which time he has worked in several public and private schools including GUSD and BUSD. Most recently, he served as a college counselor at Maranatha High School in Pasadena, CA. 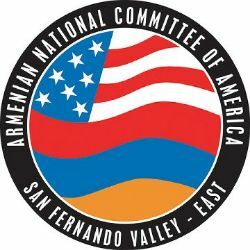 He is currently the head college counselor at AGBU Manoogian-Demirdjian High School located in Canoga Park, CA. In his two decades as a college and guidance counselor, he has guided numerous students to the highest ranking universities in the world including top-tier schools in the US, China, Korea, and Europe. His students in the U.S. have been accepted to schools such as Cal Tech, Stanford, Johns Hopkins, the Ivy League, and UC universities. He has also had the opportunity to work as a counselor in the community college system and is intimately familiar with the matriculation process from the community colleges to the universities. The event is free and open to the public. Refreshments will be provided. As space is limited, attendees are kindly asked to reserve their seats by completing the RSVP form.